In the year 2001 the history of TORCMAN started with the introduction of the TM350 Series, a totally new concept of brushless motors. This motor has been sold since the beginning without a requirement of design changes, a direct proof of a well enineered design. Permanent improvements in Battery and Controller Technologies brought us to the decision, to redesign the construction and adopt it to the new requirements and applications. Increasing the power range by optimizing the thermal design and increasing the robustness by using larger ball bearings are only some of the changes applied. In addition, the NT350-20Z is equipped with an integrated Cyclone-Fan which provides a forced air flow through the motor and better cooling. The winding technology has been moved from the classic LRK Winding to the Shared Winding, where all teeth of the stator are wound with copper. A large range of winding turns cover nearly all applications, customer specific windings are also available upon request. The recommended power range covers now 450 to 750 Watts, short time loads can be higher. 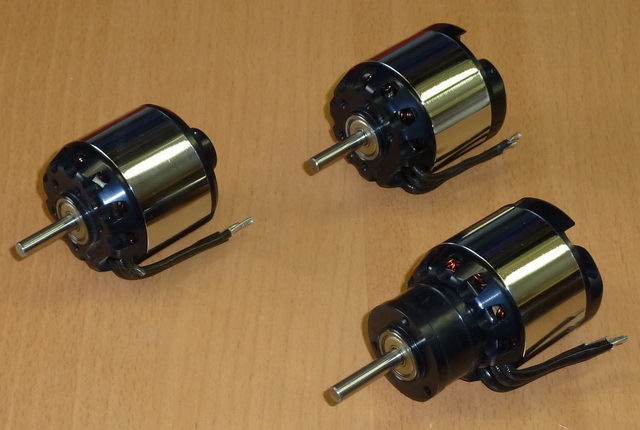 Again these motors are available as 10- and 14pole Versions, for high speed applications > 15000rpm, we recommend to go with the 10pole motors. They can run at 30000rpm and higher, depending on controller. The 14pole versions are predestined for direct drive of props between 13 and 17" diameter and run at high efficiency from 4000rpm on. 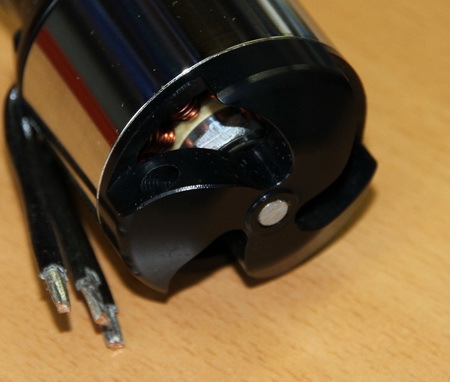 The 10pole-Version is also used in our geared drive "Super-Man" for high power applications with large props. 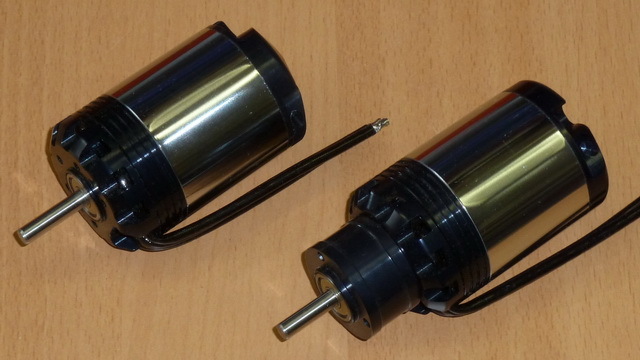 Mounting of the NT350 motors has changed to a standard 25mm hole circle and allows 2-, 3- or 4 hole mounting. With the optional extension kit, the drives can be integrated even in the most slim fuselages. Total weight of the NT350-20 is approx. 220g. To stay on track, the TM350-28-Triton has also been redesigned and optimized for future. More robust bearings and improved cooling provide a longer life and more power. This motor will only be available in the Z-Version with Cyclone-Cooling Fan. The new Thin Section Bearing can now handle upto 20000rpm without problems. The Power range is between 750 and 1000Watts. These drives are also available as 10pole and 14pole Versions and with standard windungs between 12 and 20 turns. Customer specific windings are also available upon request. The mounting holes are compatible to the NT350-20 and also the extension Kit can be used. Total weight of the NT350-28 Triton is approx. 330g. Much Copper, less Air - this works only with massive copper wire. 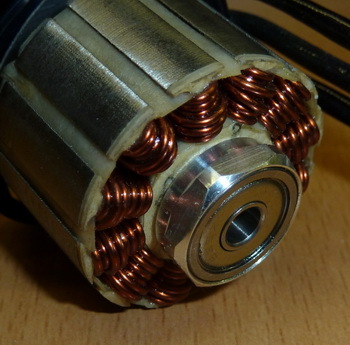 The Cyclone Fan forces the Airflow through the motor.